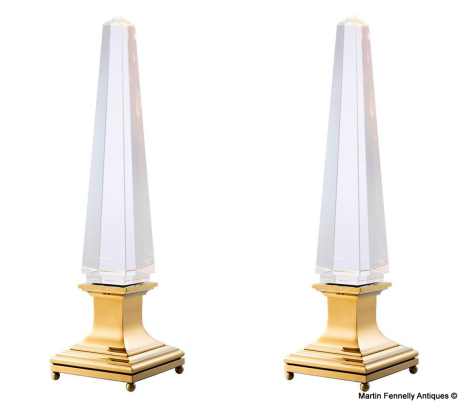 This Pair of Solaire Obelisk Lamps are superb and Large. 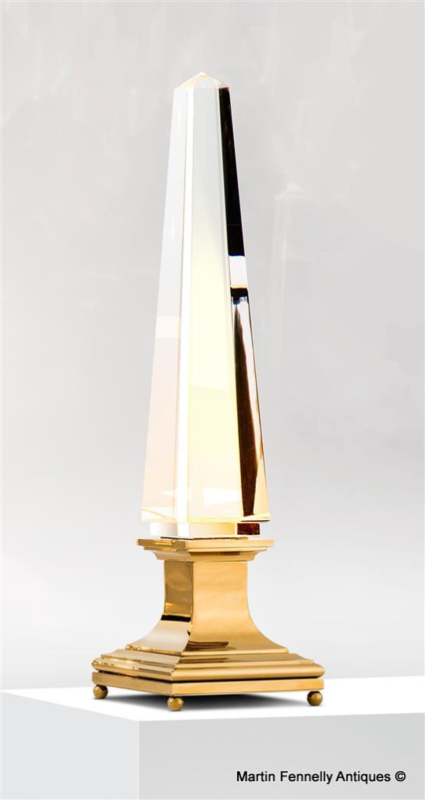 They are made from Italian Crystal with Bulbs to the back and inset in the Crystal. 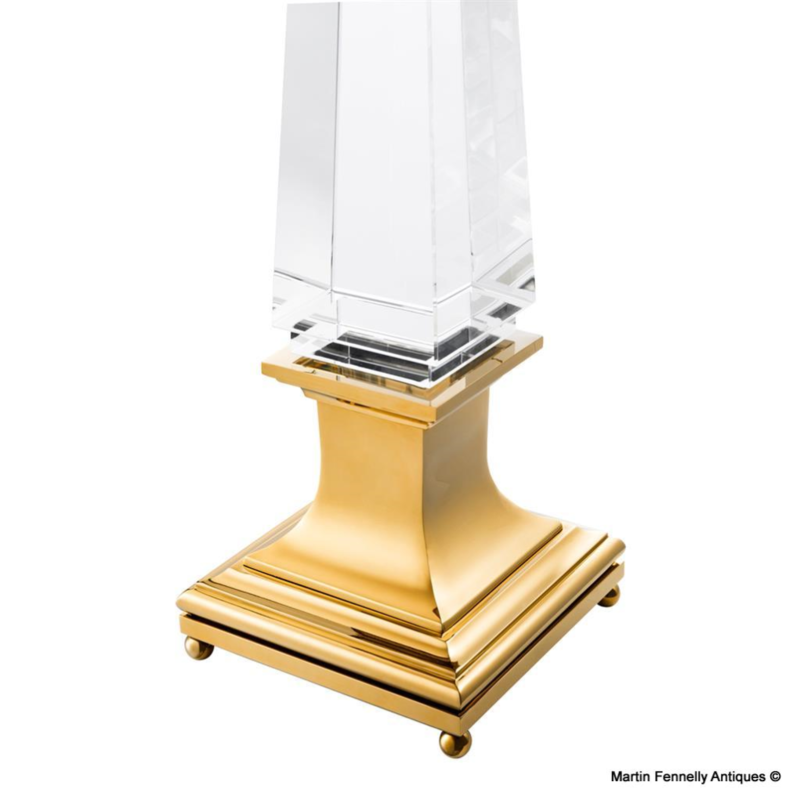 They are Large and very well made with Ormolu Stands. They are heavy and indeed high so Shipping would be expensive. The traditional base design mixed with the modern style of the crystal make this accessory the must have item to elevate your interior spaces. 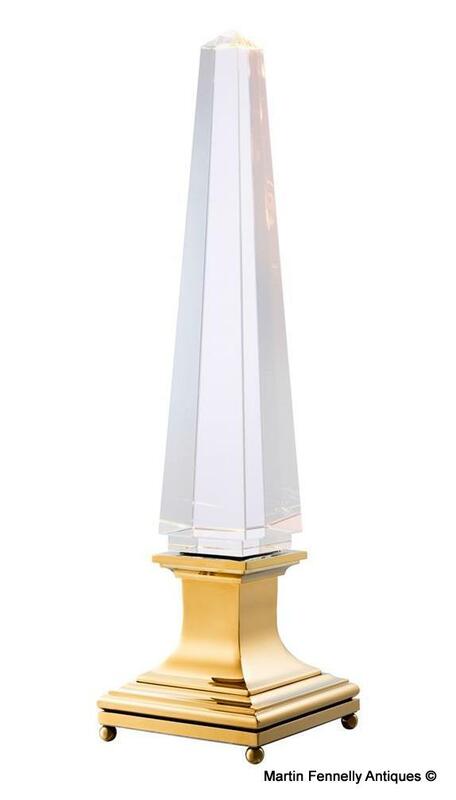 The Lamps with their narrow foot print and tall obelisk of Cystal gives for a very stylish statement.